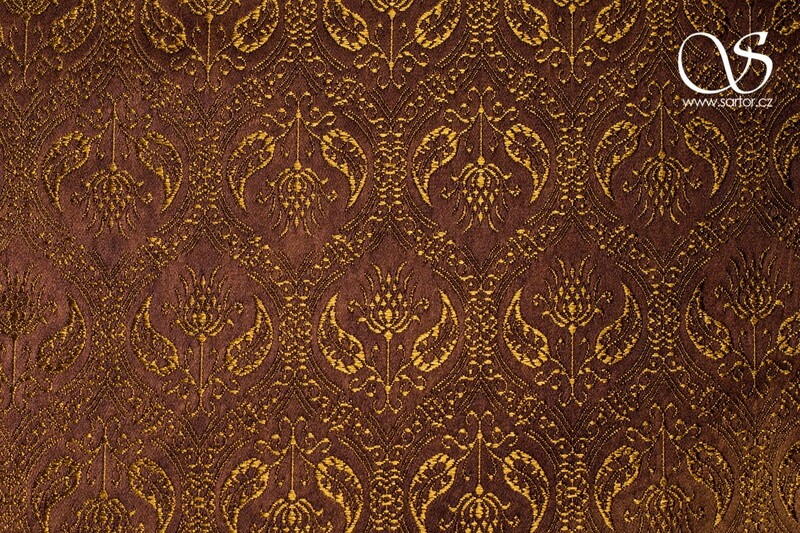 Our reproduction of a lampas silk woven in Syria in 13th century. 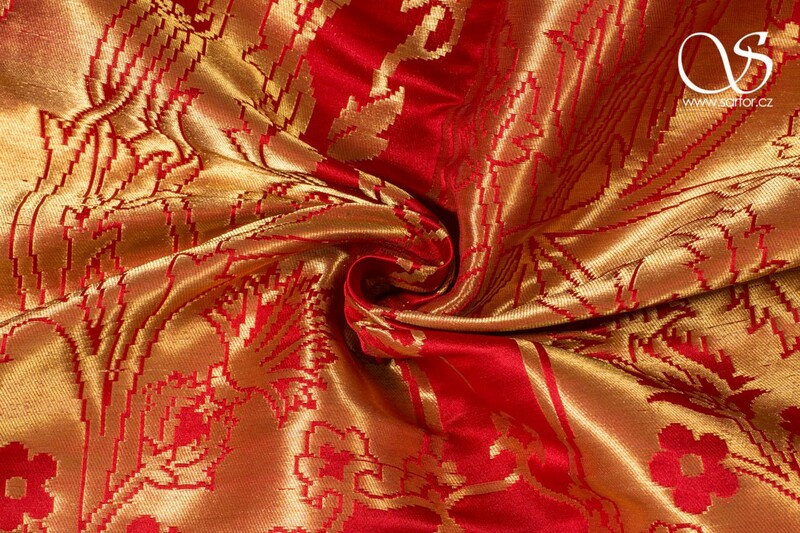 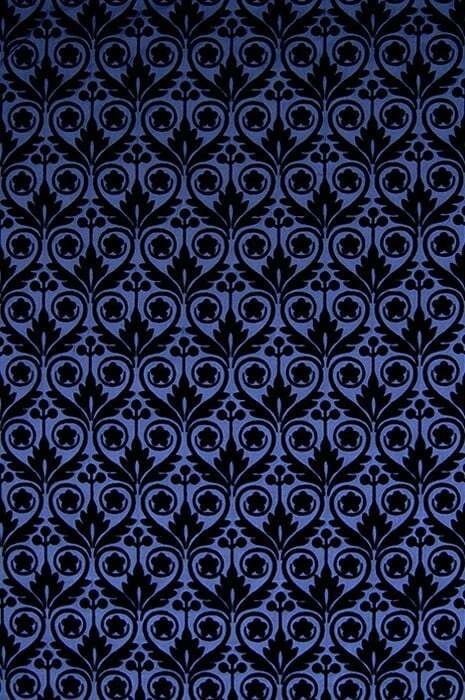 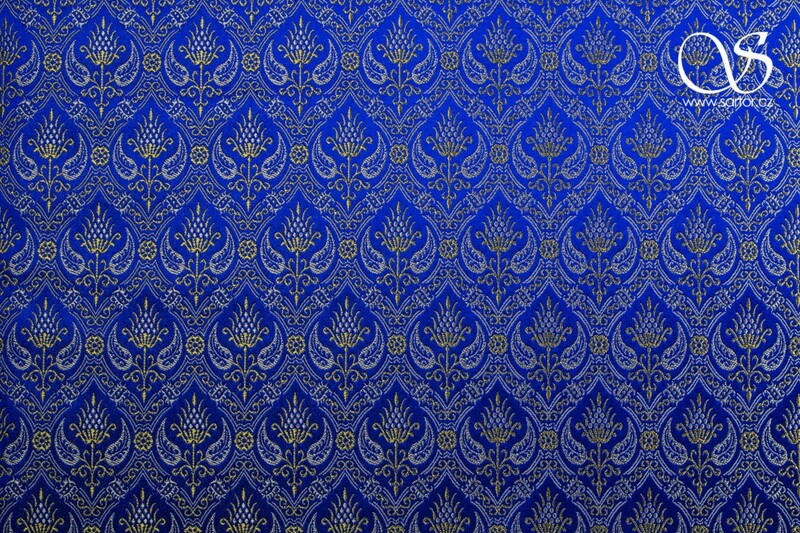 Woven in the original technique with double warp and double weft in the best quality silk. 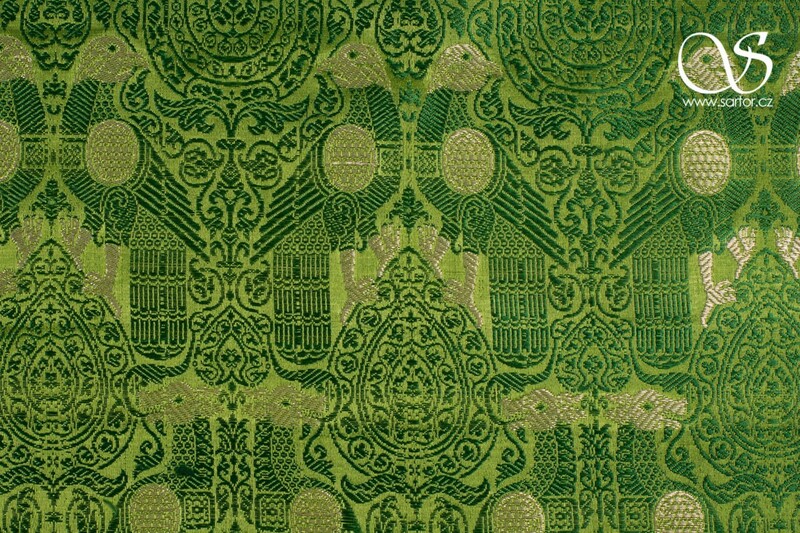 The original textile was produced in Ayyubid sultanate which in 12th and 13th century covered areas of Middle East such as Syria, Palestine and even west Egypt. 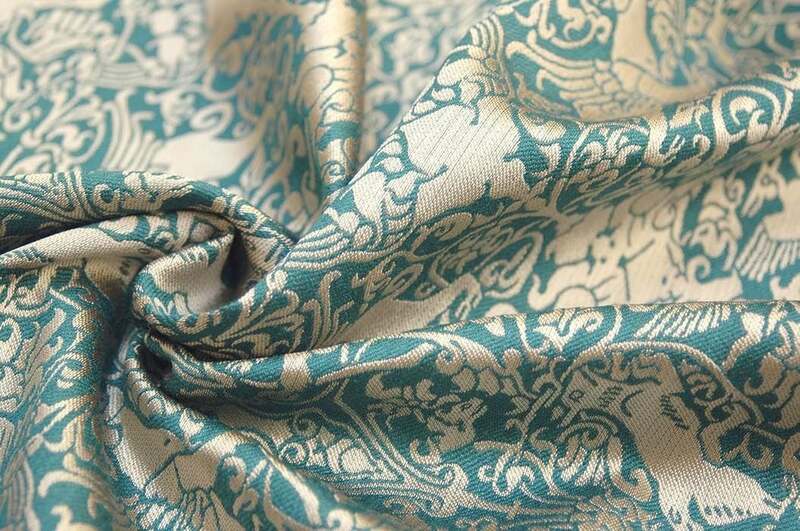 It is assumed that the textile was made in Syria because of the technology of weaving and pattern both typical for earlier production of eastern Iran whose weavers migrated to Syria to flee the Mongols. 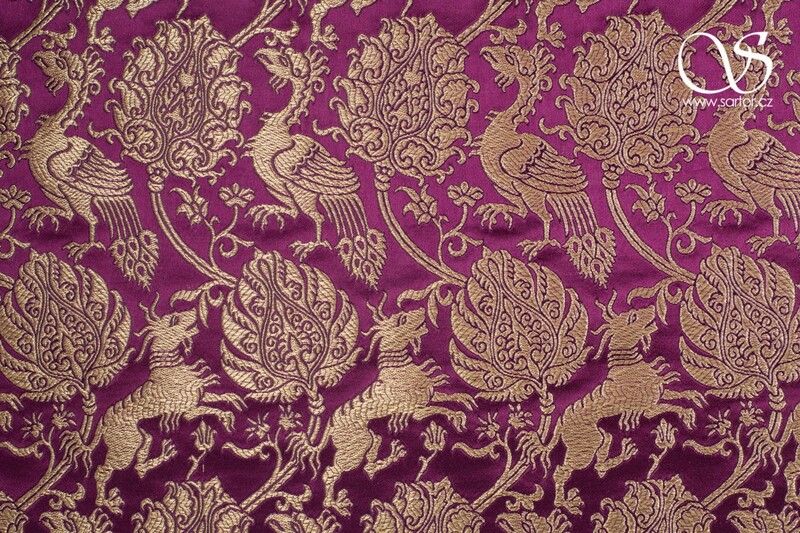 The intricate pattern features paired griffins, foxes, and birds arranged among vine scrolls and palmette trees. 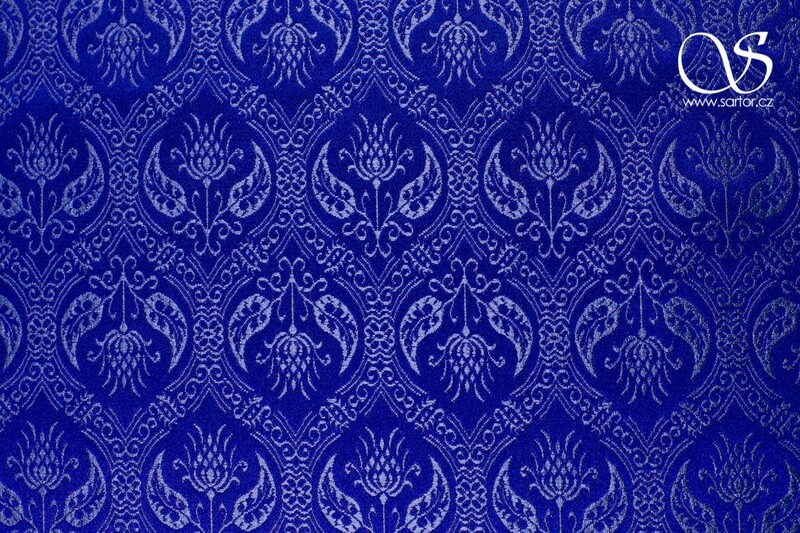 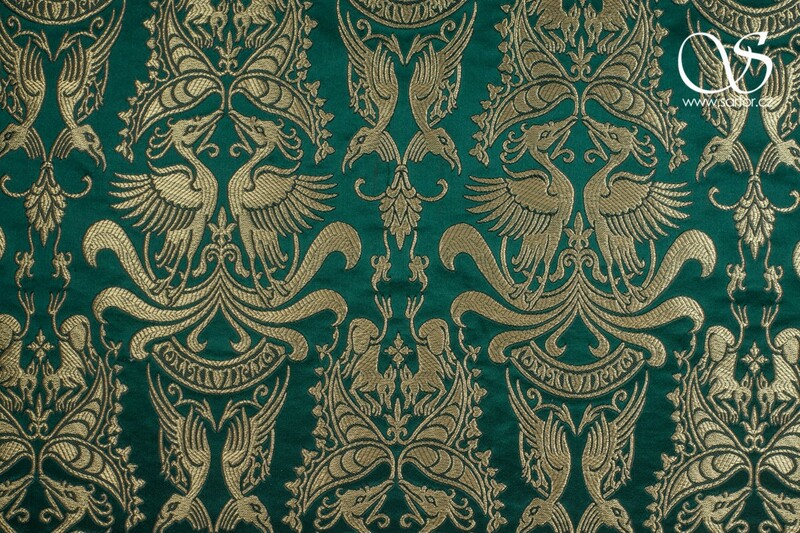 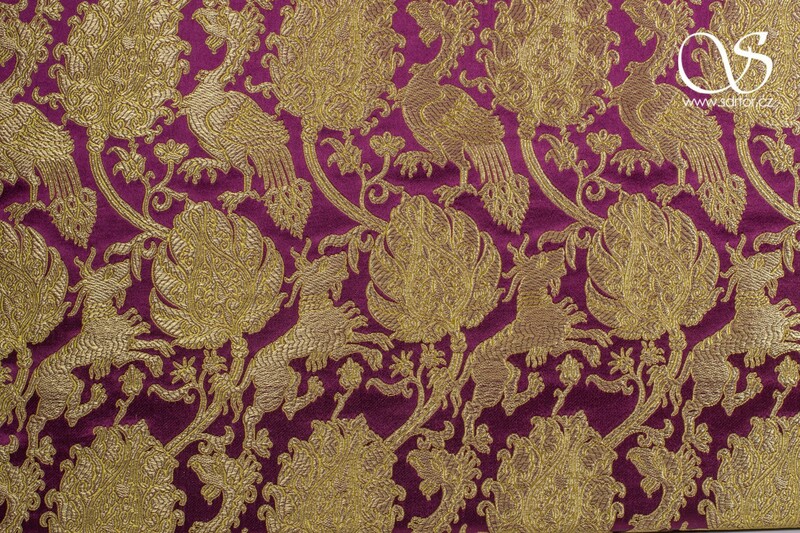 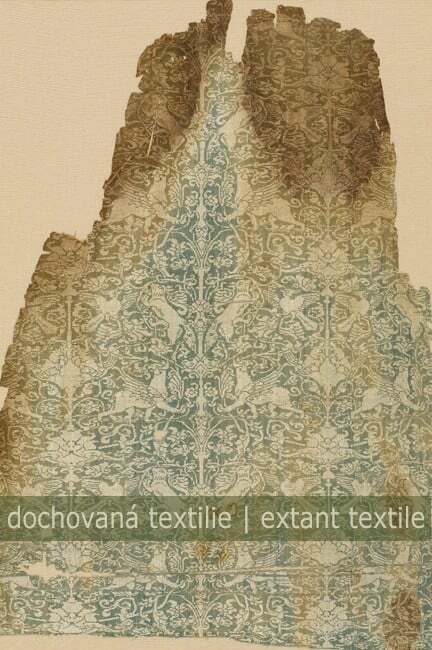 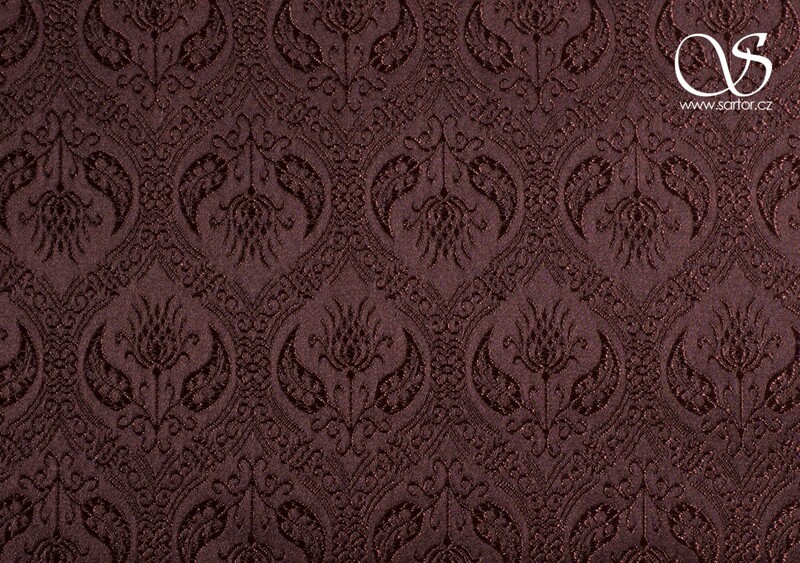 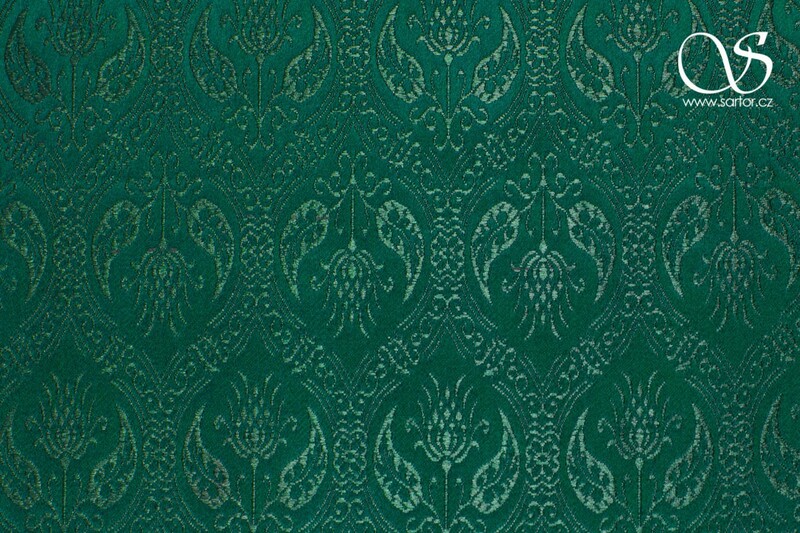 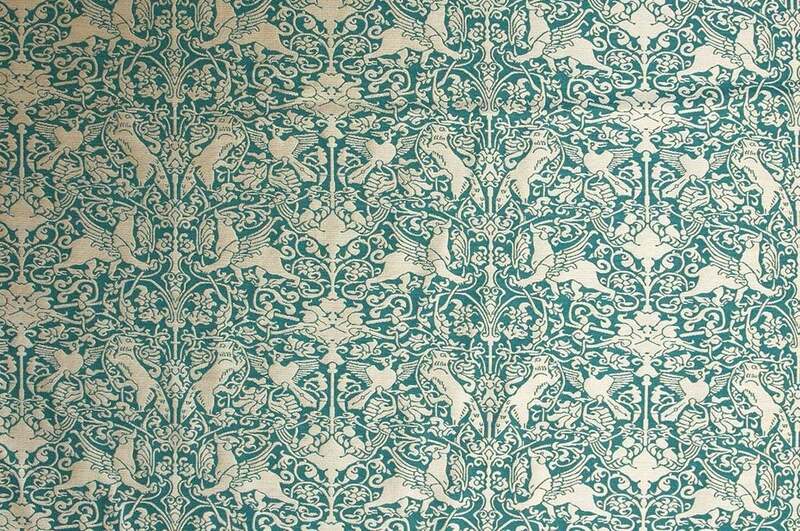 The elegant and threatening fox is quite a rare motif which makes this textile quite unique. 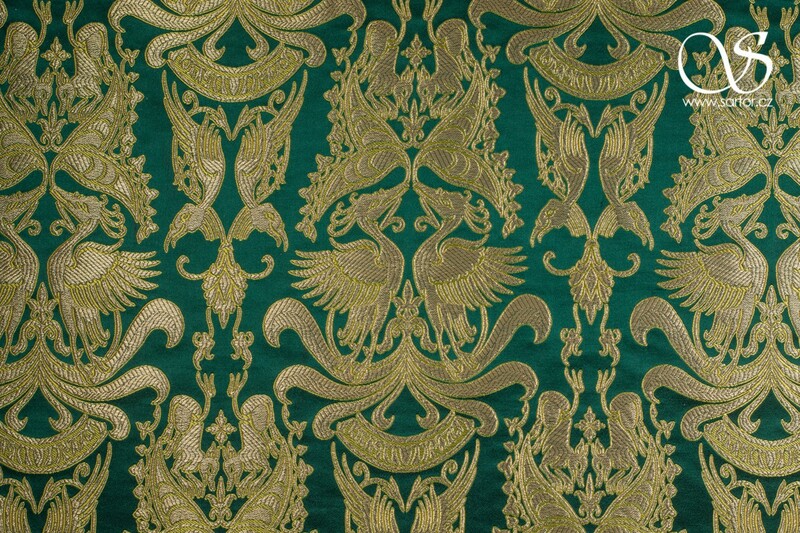 Several collections, such as Metropolitan Museum of Art in New York and Museum of Fine Arts in Boston, preserve fragments of the same textile, perhaps part of a tunic. 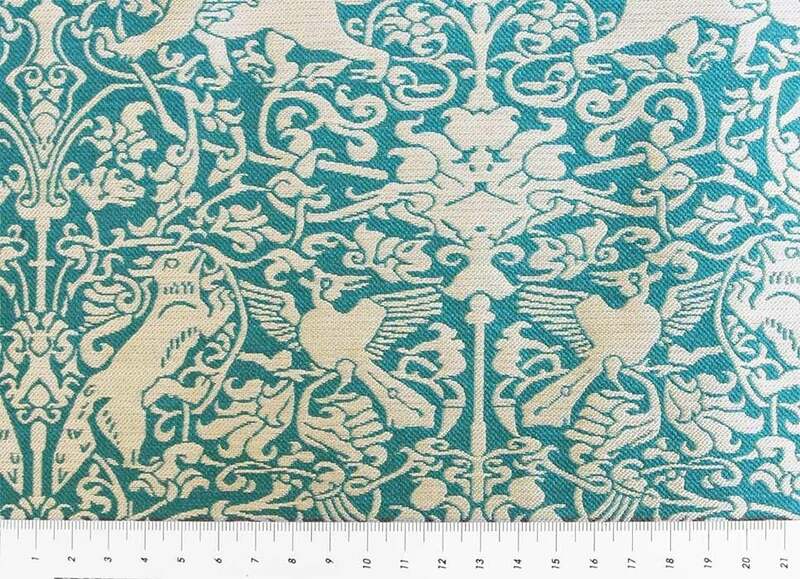 : 12 cm | 4.7"